Scientific discussion meeting organised by Professor Chris Hawkesworth FRS, Professor Michael Brown, Professor Mary Fowler and Professor Jeroen van Hunen. Recorded audio of the presentations will be available on this page shortly. Meeting papers will be published in a future volume of Philosophical Transactions A.
Chris Hawkesworth currently holds Emeritus positions at the Universities of Bristol and St Andrews. 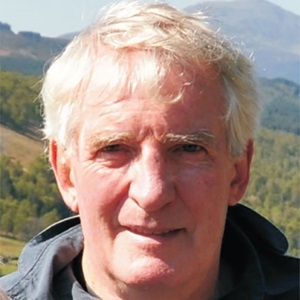 Previously he was Deputy Principal and Vice-Principal for Research, and Wardlaw Professor of Earth Sciences at the University of St Andrews (2009–2014), and before St Andrews he was Professor of Earth Sciences at Bristol and the Open University. Hawkesworth’s research uses isotopes and trace elements to study natural processes including those involved in the generation of magmas, the formation and evolution of the continental crust, the development of base metal deposits and environmental changes throughout time. He is particularly interested in constraining rates of natural processes from the geological record. Hawkesworth was elected a Fellow of the Royal Society in 2002, and his research has been recognized with awards including the Schlumberger Medal of the Mineralogical Society in 2002, the Wollaston Medal of the Geological Society in 2012, and the Bunsen Medal of the European Sciences Union in 2014. 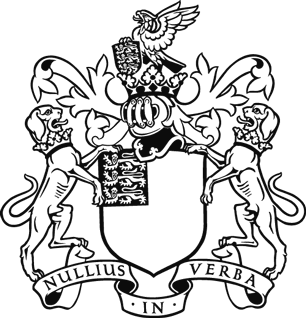 He has served on the governing bodies of the Universities of Bristol and St Andrews, and of a number of learned societies. He has chaired a Scientific Advisory Board for the Max Planck Society, review panels in Australia and South Africa, and served on the Scottish Funding Council Research & Knowledge Exchange Committee. He currently chairs the National Geological Screening Independent Review Panel for Radioactive Waste Disposal. Professor Mary Fowler, a geophysicist, has been Master of Darwin College, Cambridge since October 2012. Her BA was in Mathematics (Girton College, Cambridge, 1972) and her PhD in Geophysics (Darwin College, Cambridge, 1976). After a Fellowship at the ETH Zurich, Switzerland she held positions at the University of Saskatchewan, Canada, before joining Royal Holloway, University of London in 1992 where she served as Head of the Department of Earth Sciences and Dean of the Science Faculty. David Bercovici received his BS in Physics from Harvey Mudd College (1982) and his Phd in Geophysics and Space Physics from UCLA (1989). After a postdoctoral fellowship at the Woods Hole Oceanographic Insitution (1989-1990) he joined the faculty at the University of Hawaii (1990-2000). He moved to Yale in 2001 and has been there ever since as Professor and even Chair (2006-2012). Bercovici received the Macelwane Medal from the American Geophysical Union (AGU), along with Fellowship in AGU, in 1996. He was elected to the American Academy of Arts and Sciences in 2015. He is an expert in planetary physics and geophysical fluid dynamics, and works on the origin of plate tectonics, convection in the Earth's deep interior, magma dynamics and volcanic eruptions. The physics and chemistry of differentiation on different size scales determines the diversity of the observed planet population. Planetesimals likely differentiated early, while gas was still present in the disk. Fluid and magma mobilization and loss and impact erosion necessarily created a broad taxonomy of planetesimals, which contribute a different share of volatiles, metals, and silicates to growing embryos and planets. Accretionary impacts on larger planets create serial magma oceans associated with core formation and atmospheric outgassing. The evolving chemistry of the growing system can lead to divergent atmospheric compositions, crustal compositions and long term mantle and surface evolution. Forward models for magma ocean evolution match many planetary observations, including the differentiation of the lunar interior, the existence of large low-shear velocity provinces (LLSVPs) in Earth’s lower mantle, the oxidation state of the mantle, and the existence of clays in the primitive crust of Mars. 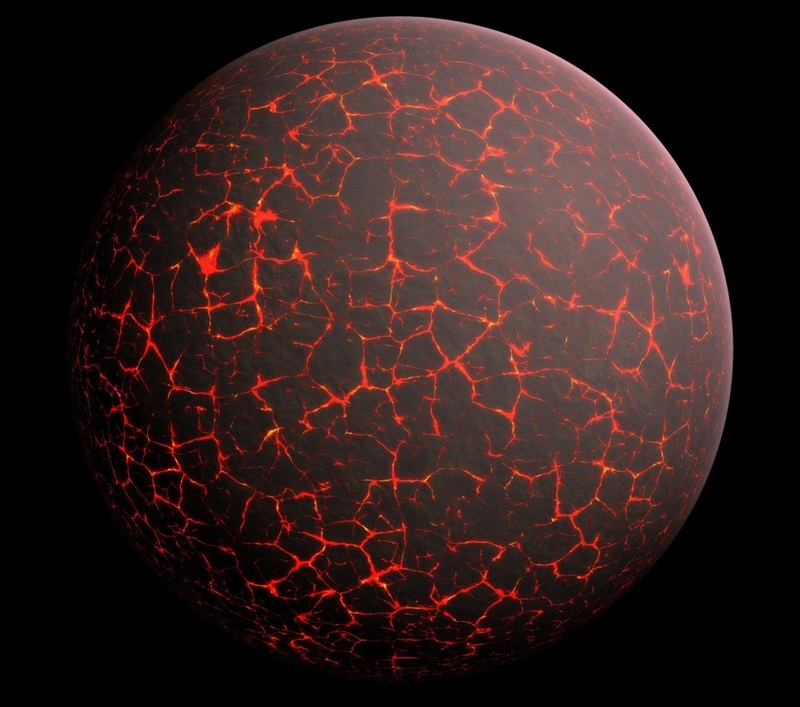 The end of the magma ocean stage creates the initial conditions for later planetary tectonics: if a planet’s mantle solidified fractionally then compositional density stratification will suppress thermal convection for some time. Without vigorous mantle convection, the top thermal boundary layer may have a chance to thicken enough to suppress or delay plate tectonics. Laura Schaefer is a postdoctoral scholar at Arizona State University, where she studies planetary differentiation in rocky objects of all sizes from asteroids to super-Earths. 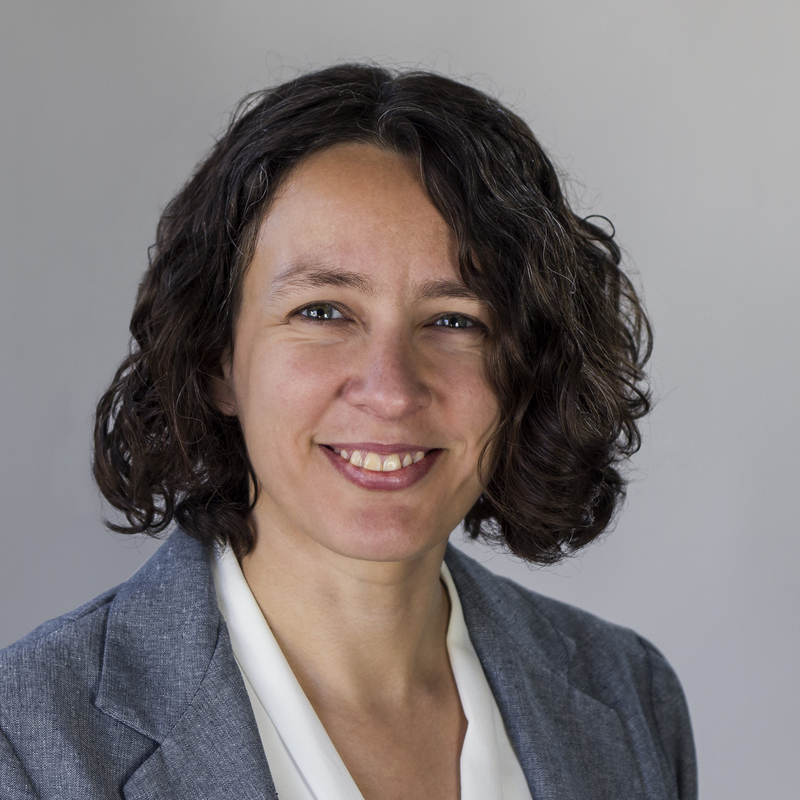 Her work includes both chemical and physical evolution of rocky planets over time and focuses on the interplay between volatile and rocky materials. Laura received her Bachelor’s in Earth and Planetary Sciences from Washington University in St. Louis and her PhD in Astronomy from Harvard University. As Earth’s twin in size, density, and heat producing elements, Venus was once predicted to have plate tectonics. Early global surveys of Venus using data from Magellan found numerous possible subduction sites. Many rejected this interpretation based on the apparently contradictory evidence for mantle plumes at the most of the subduction locations. More recently plume-induced subduction was a proposed as a mechanism for initiation of plate tectonics on Earth. Laboratory simulations (Davaille et al., 2017) predict initial rifting of the lithosphere, a partial arc of subduction due to volcanic loading, and radial and concentric extension outboard of the trench as the lithosphere accommodates subduction along an arc. Quetzelpetlatl and Artemis Coronae exhibit all of these features, which were not fully predicted by prior models. Roll-back subduction may also explain why Artemis is twice as large as any other corona. Other features suggest that under some circumstances the subduction may extend well beyond the initial plume diameter and become linear. Venus’ hot lithosphere, like the Archean Earth’s, may inhibit the evolution to plate tectonics due to fault annealing (Bercovici and Ricard, 2014). The detailed conditions that allow this process to occur offer lessons for plate tectonics initiation on rocky planets. Since the discovery of plate tectonics it has been suspected, but never fully demonstrated, that a low-viscosity layer beneath the plates (i.e., the asthenosphere) may play a central role in facilitating their motions. This idea has cast a significant shadow not only on Earth dynamics but also on comparative planetology - in particular on Earth-Venus comparisons. We review constraints on the structure and viscosity of the asthenosphere that are provided by geoid and post glacial rebound studies. We also review previous numerical simulations that highlighted the potentially key role that a rheologically weak asthenosphere, interacting with plates above, could play in maintaining plate tectonics on Earth. We then present new models that expand explorations into the defining characteristics of the asthenosphere and its role for the mantle convection and plate tectonics. The collective works leads us to suggest a geodynamic definition of the asthenosphere that breaks from the traditional view that the principal role of the asthenosphere, for plate tectonics, is to provide basal lubrication for plates. Venus provides a rich arena in which to stretch one’s tectonic imagination with respect to non-plate tectonic processes of heat transfer on an Earth-like planet. Venus is similar to Earth in density, size, and inferred composition and heat budget. The two planets, likely most similar early in their history, followed different evolutionary paths. Venus’ lack of plate tectonics and terrestrial surficial processes results in the preservation of a unique surface geologic record of non-plate tectonomagmatic processes. A global overview affords a rich spatial and temporal geologic perspective. This history is illustrated by structure-element maps of the Niobe Planitia–Aphrodite Terra area, encompassing >25% of Venus’ surface. Three tectonic domains, which extend globally, represent fundamental changes in global conditions and tectonic regimes through time, divided into eras. Impactors played a prominent role in the ancient era, characterized by thin global lithosphere. The Artemis superstructure era highlights sublithospheric flow processes related to a uniquely large super plume. The fracture zone complex era, marked by broad zones of tectonomagmatic activity, witnessed coupled spreading and underthrusting, since arrested. The three tectonic regimes provide possible analog models for terrestrial Archean craton formation, continent formation without plate tectonics, and mechanisms underlying the emergence of plate tectonics. Vicki Hansen is the McKnight Presidential Professor of Earth and Planetary Science at the University of Minnesota Duluth. Vicki is a structural geologist interested in the dynamic evolution of planets. Her work focuses on Earth and Venus, but draws on insights from the Moon, Mars, Mercury, and Jupiter’s and Saturn’s moons. Hansen’s hybrid approach to planetary research combines two seemingly different tracks—field-based research on Earth and use of remote-sensing data from Venus. Planetary geologists commonly use Earth analogs to understand other planets. Hansen flips this around, first using the geologic record provided by Venus’ intricate surface to discover the nature of tectonic processes once active on Venus; insight from Venus can in turn provide critical clues about processes operating during Earth’s Archean Eon (4.2 to 2.5 billion years ago). A variety of possible mechanisms have been proposed for the formation of ductile shear zones in the lithospheric mantle; such structures are essential for plate tectonics. These mechanisms include thermal weakening due to viscous heating, localized water weakening coupled with fabric development, and decrease in grain size resulting from large-strain shear that leads to a transition from grain-size insensitive to grain-size sensitive deformation. In natural shear zones, the presence of mylonites and ultramylonites provide evidence of significant grain-size reduction due to dynamic recrystallisation and phase mixing. To investigate the processes involved in the formation of mylonitic rocks, we performed high-strain torsion experiments on two-phase materials to analyse the evolution of both microstructure and rheological behaviour. These experiments demonstrate that, as grain size decreases with increasing strain, mixing of small grains produces textures in which one phase pins the grain boundaries of the other phase, thus stabilising a grain size smaller than that anticipated from dynamic recrystallisation alone. The development of a well-mixed, two-phase, fine-grained rock facilitates a transition in deformation mechanism that causes weakening and strain localisation in rocks. 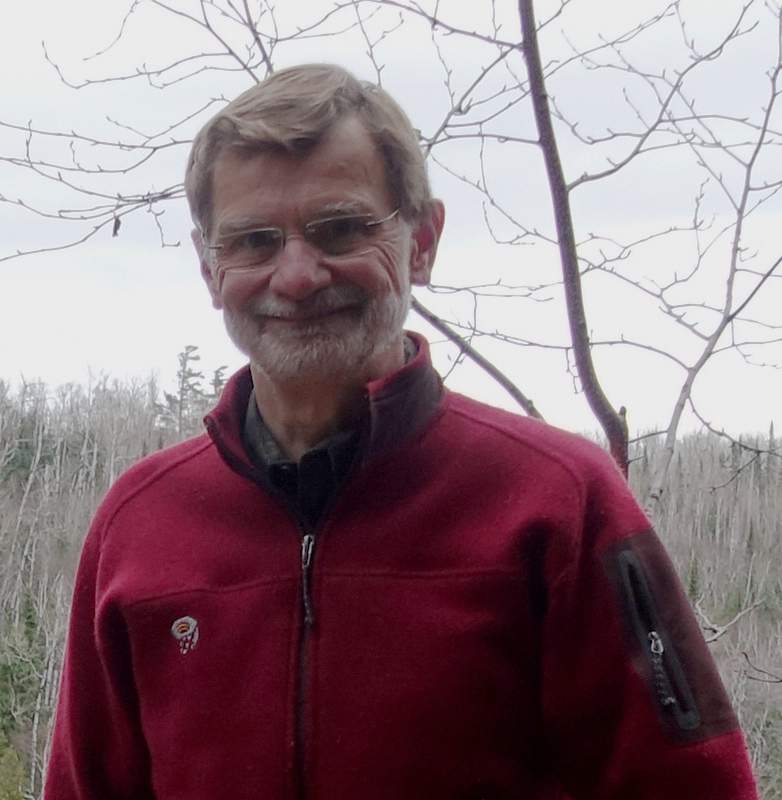 David Kohlstedt, professor of earth sciences at the University of Minnesota, applies his background in condensed-matter physics and materials science to the investigation of physical and chemical properties of minerals and rocks. 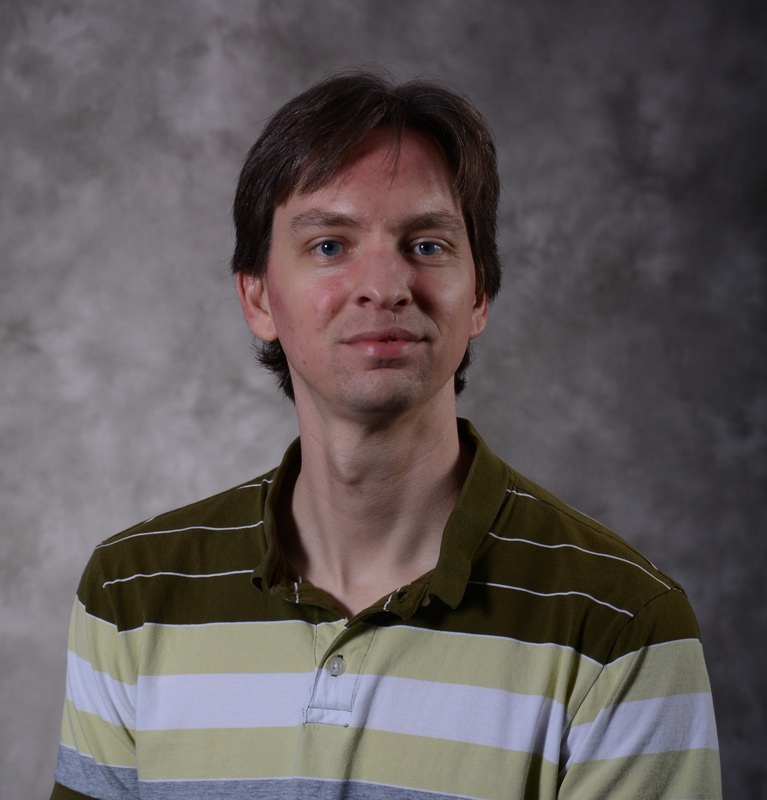 His research focuses on kinetic behavior with particular emphasis on viscosity. Motivation for his laboratory experiments derives from the importance of quantifying the behavior of geological materials under extreme conditions as the basis for understanding and modeling the dynamical behavior and chemical evolution of deep interiors of terrestrial planets. Historically, two central themes of his research involved fluids. First, parts per million of water in the form of hydrogen dissolved as point defects in nominally anhydrous silicate minerals produces a dramatic reduction in viscosity. Second, a small amount of melt profoundly decreases the strength of otherwise crystalline rocks. Recently, Professor Kohlstedt extended his research to investigate the microstructural and rheological evolution of two-phase, fully crystalline rocks sheared to high strain in torsion with application to the formation of shear zones in Earth’s lithospheric plates. 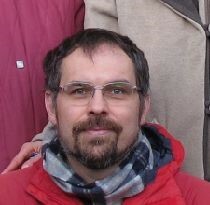 Jean-François Moyen (born 1974) obtained his PhD in January 2000 from Clermont-Ferrand, France, where he was under the supervision of Professor Hervé Martin. Between 2002 – 2003 he held a Junior Lecturer position at Nancy, Lyon before moving to Stellenbosch, South Africa, where he held the position of Post-doc (2003-2006), lecturer (2006-2008) and senior lecturer (2008-2009). Since 2009 Jean-François has held the position of Associate professor at Université Jean-Monnet, Saint-Etienne, France. His key research interests include: archaean tectonics and geology of the partially molten continental crust and favourite field sites are the Kaapvaal Craton, South Africa and the French Massif Central (Variscan). Moving beyond speculation and towards refined, and testable, models of early Earth evolution requires increasingly robust evidence. For geochemical approaches, obtaining such evidence is clouded by the small areal extent, typically poor exposure and extreme geological complexity of preserved early Archean lithosphere. If the Archean geological record is genuinely incomplete, as commonly claimed, then issues of preservation bias and the 'representativeness' of extant rocks need to be evaluated and quantified. Geodynamic inferences are impeded by the difficulty with establishing credible Phanerozoic analogues on Earth or elsewhere in the solar system. This presentation aims to discuss these uncertainties, and to consider what aspects of the Archean geological record provide the most reliable constraints on crust-mantle evolution in the ancient Earth, and that best inform geodynamic models. Key aspects of the geology and geochemistry of several Archean cratons are highlighted to this end. Tony Kemp moved from PhD studies at the ANU, Canberra, to research fellowship positions in Bristol, UK; Niigata, Japan; Townsville, Queensland Australia; Pullman, Washington, USA and Perth, Western Australia. 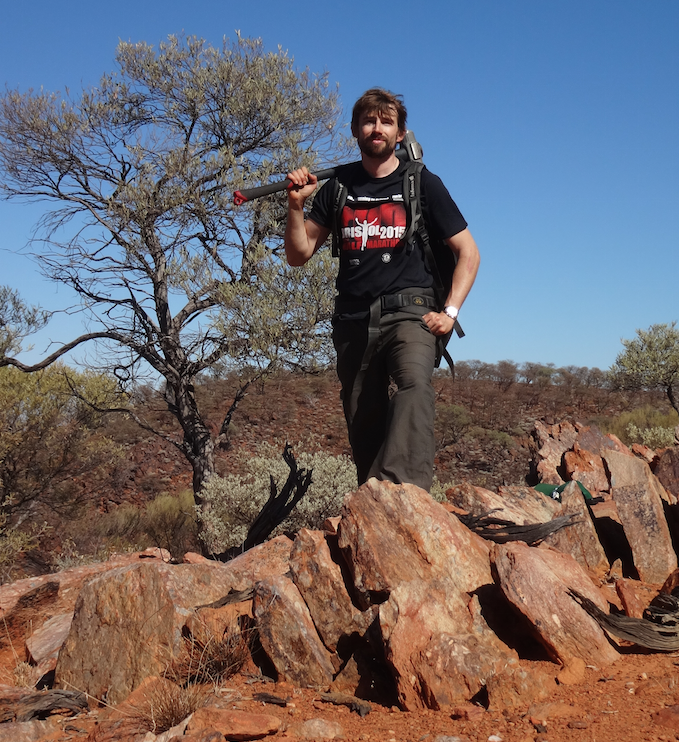 He is currently in the School of Earth Sciences at the University of Western Australia, conducting geological and isotope studies on some of Earth’s oldest rocks in the Pilbara and Yilgarn Cratons. 14:30-14:55 Geological archive of plate tectonics: does subduction have a birthday? Plate tectonics, involving a globally linked system of lateral motion of rigid surface plates, is a characteristic feature of our planet, but estimates of how long it has been the modus operandi of lithospheric formation and interaction range from the Hadean to the Neoproterozoic. Professor Cawood will review the geological proxies used to infer plate motion and conclude that significant changes in Earth behaviour occur in the mid- to late Archaean, between 3.2 Ga to 2.5 Ga. These data include a change from thin mafic crust to thicker intermediate continental crust, including the incoming of potassic and peraluminous granites. Dome and keel structures in granite-greenstone terranes, which relate to vertical tectonics, are replaced by linear thrust imbricated belts. Passive continental margins inferred to mark the onset of sea-floor spreading are no older than 3 Ga. The oldest foreland basin deposits associated with lithospheric convergence are a similar age. Palaeomagnetic data from the Kaapvaal and Pilbara cratons for the interval 2780-2710 Ma and from the Superior, Kaapvaal and Kola-Karelia cratons for 2700-2440 Ma suggest significant relative movements. This talk will consider these changes in the behaviour and character of the lithosphere to be consistent with a gestational transition from stagnant lid tectonics to the birth of sustained plate tectonics. 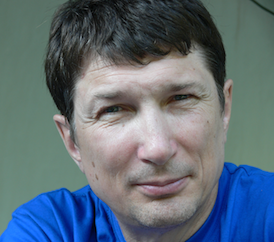 Peter Cawood is an Australian Research Council Laureate Fellow at Monash University and has previously held positions in New Zealand, Canada, Scotland and Australia. His research is concerned with the evolution of the lithosphere and the insights this provide into Earth processes. Major focuses and contributions include: secular changes in the rock record and implications for defining stages of lithospheric evolution; the time for initiation of plate tectonics on the Earth and implications for continental crust generation; how the supercontinent cycle has biased the rock record; and the application of microanalytical techniques to unravel the history of the lithosphere. In order to understand the evolution of plate tectonics research needs to address three related problems of when, how, and what came before. All three questions need to be answered before we can have any confidence that we have solved this important scientific problem: 1) what was Earth’s tectonic regime before the present episode of plate tectonics began? 2) given the preceding tectonic regime, how did plate tectonics become established? and 3) when did the present episode of plate tectonics begin? The tripartite nature of the problem complicates solving it, but if and when research finds all three answers, the requisite consilience will provide greater confidence than if only focusing on the long-standing question of when did plate tectonics begin? This effort requires an open mind and consideration all possible scenarios and lines of evidence. Upon addressing these questions, there should not be an assumption that the Earth has only experienced two tectonic regimes: plate tectonics and whatever came before. There may have been multiple episodes of plate tectonic and non-plate tectonic convective styles on Earth. Non-plate tectonic styles likely were dominated by “single lid tectonics” and this likely also evolved as Earth cooled and its lithosphere thickened. Robert J Stern is Professor of Geosciences and Director of the Global and Magmatic Research Laboratory at the University of Texas at Dallas. He has more than 40 years of geoscientific research experience, studying active convergent margin processes and products in the Mariana arc system in the Western Pacific as well as ancient (900-550 million year old) crust exposed in the Arabian-Nubian Shield of Egypt, Sudan, Ethiopia, Saudi Arabia, Jordan and Israel. He is expert on the geology of the Dallas-Fort Worth Metroplex and the geology of Iran, and has made important contributions to the geology of the Caribbean and the Gulf of Mexico. These studies involve research at sea and on land. Geodynamic contributions include ideas about how new subduction zones form and the evolution of Plate Tectonics. He and his co-authors have published more than 200 peer-reviewed scientific papers; more information about these can be found on his Google Scholar profile. He is also interested in generating educational animations and videos of geoscientific processes. He is a Fellow of the Geological Society of America and the American Geophysical Union and is Editor-in-Chief of International Geology Review. Understanding when and how the continental crust was generated is an important step in unraveling the evolution of the Earth system, yet these questions remain a matter of great debate. Modelling of Hf isotopes in zircon and Nd isotopes in sediments suggest that new continental crust was generated continuously, but with a marked decrease in the growth rate at ~3 Ga, which we ascribe to the onset of plate tectonics. By 3 Ga at least ~65–75% of the present volume of the continental crust had been generated. There is increasing evidence that ~3 Ga also marked the transition between two different types of continental crust. Pre-3 Ga crust was on average mafic, dense and relatively thin (<20 km). In contrast, continental crust that formed after 3 Ga gradually became more intermediate in composition and thicker. The increase in crustal thickness is accompanied by increasing rates of crustal reworking and increasing input of sediment to the ocean. These changes may have been accommodated by a change in the lithosphere strength at around 3 Ga, as the latter became strong enough to support high relief crust. A box model is used to evaluate the timing of crust generation and destruction from 4–0 Ga. Relatively large volumes of crust were destroyed in the late Archaean and Early Proterozoic and over 100% of the present volume of continental crust has been recycled back into the mantle since 3 Ga.
Bruno Dhuime was born in 1978 in the French Alps (Chamonix). He pursued his studies, including his doctoral thesis, in the south of France at the Montpellier University. He obtained his PhD in 2007, after what he moved to UK to join the Bristol Isotope Group for nearly 10 years. Since 2017 he is permanently based at the 'Géosciences Montpellier' laboratory (Montpellier University) as a CNRS researcher. His key research interests include the formation and the evolution of the continental crust, the timing for the onset of plate tectonics, and the development of new analytical techniques and geochemical tools. Paul Tackley studies the structure, dynamics and evolution of Earth and other terrestrial planets and moons as related to convective processes in the mantle, lithospheric dynamics and plate tectonics. He has been Professor of Geophysical Fluid Dynamics in the Institute of Geophysics, Department of Earth Sciences, ETH Zurich since 2005. From 2010-2014 he served as Head of the Institute of Geophysics and from 2013-2016 he was the Study Director of the Department of Earth Sciences. He earned his PhD in Geophysics at the California Institute of Technology in 1994, following which he moved to the University of California, Los Angeles as Assistant Professor (1994-99), Associate Professor (1999-2003) then Full Professor (2003-2005). He is President of the Geodynamics Division of the European Geosciences Union, and was recently elected as a Fellow of the American Geophysical Union. Isotope geochemistry provides undisputable evidence for early differentiation of the Earth. The indications come from 1) the comparison between measurements on terrestrial samples and extra-terrestrial objects that may represent the Earth’s building blocks, and 2) the study of radioactive systematics (short-lived and long-lived chronometers) on the oldest terrestrial samples. Excess in 142Nd (decay product of 146Sm) measured in terrestrial samples relative to chondrites has been explained by a very early differentiation event. However this scenario has been challenged by the discovery of variations in mass-independent stable Nd isotopic compositions in undifferentiated chondritic meteorites. On the basis of high-precision isotope measurements Dr Boyet will discuss which material is most likely to have participated in the Earth's accretion and the implications for the early stages and the long-term evolution of our planet. The progression of a planet from a pre-plate tectonics, to a plate-tectonic regime, has been shown to be very sensitive to system parameters, such as thermal state and the specific rheology. Whilst generally it has been shown that cold-interior high-Rayleigh number convection (such as on the Earth today) favours plates, due to the ability of the interior stresses to couple with the lid, a given system may or may not have plate tectonics depending on its initial conditions. This has led to the idea that there is a strong-history dependence to tectonic evolution – and the details of tectonic transitions, including whether they even occur, may depend on the early history of a planet. However, intrinsic convective stresses are not the only dynamic drivers of early planetary evolution. Early planetary geological evolution is dominated volcanic processes, and impacting. These have rarely been considered in thermal evolution models. Recent models exploring the details of plate tectonic initiation have explored the effect of strong thermal plumes or large impacts on surface tectonism, and found that these ‘primary drivers’ can cause a transition from a stagnant-lid state to an active lid, and, in some cases, over-ride the pre-configuration set by initial conditions. The only detailed planetary record we have of the development comes from Earth, and is restricted by the limited geological record of its earliest history. Many recent estimates have suggested an origin of plate tectonics at ca. ~3.0Ga, inferring a somewhat monotonic transition from pre-plates to a somewhat modern plate tectonic regime around that time. However, both numerical modelling, and the geological record itself, suggest a strong non-linearity in the dynamics of the transition, and it has been noted that the early history of Archaean greenstone belts and TTGs may be one of failed subduction. This talk will explore the history of subduction failure on the early Earth, and couple these with insights from numerical models of the geodynamic regime at the time. 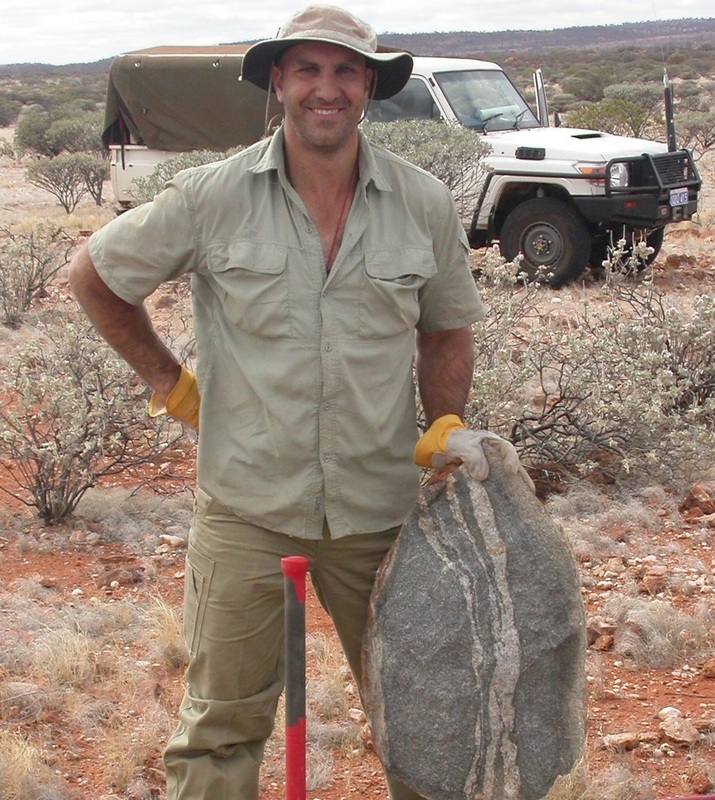 Associate Professor Craig O’Neill is a geodynamicist/geophysicist at Macquarie University, Sydney. He is a member of the Australian National Committee of Earth Science, and former Australian Research Council Future Fellow, and CI in the ARC Centre of Excellence in Core to Crust Fluid Systems. He completed a PhD at the University of Sydney, before moving to Rice University in Houston for a postdoctoral fellowship in 2005. He joined Macquarie University as a Macquarie University Research Fellow, and later an Australian Research Council Research Fellow, in 2006. 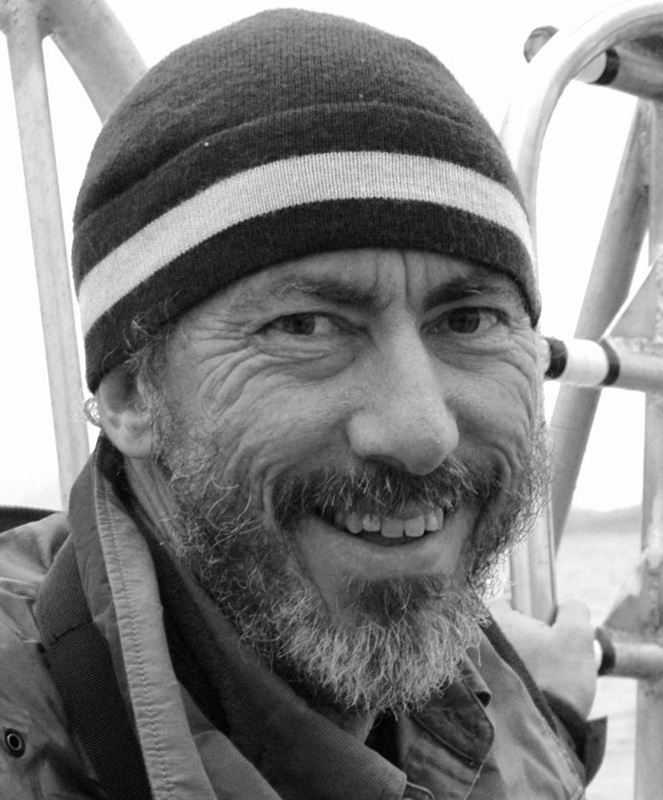 O’Neill’s work focuses on the geodynamics of planetary interiors, integrating geophysical and geochemical constraints into geodynamic simulations of Earth’s dynamics. His research interests span the deep interior and tectonics of terrestrial planets, early Earth evolution, planetary science, continental evolution, and the coupling of atmospheric/hydrospheric systems with deep Earth processes. He has been the recipient of the NSW Government’s Tall Poppy Science Award and The Australian newspaper’s Young Australian Scientist of the Year. A key requirement for plate tectonics is rheological weakening in the lithosphere that forms weak plate boundaries. As a result, a major issue for early Earth dynamics is whether such weakening is active and effective in a hotter Earth, and one with a potentially different heating mode (i.e. a different percentage of core versus internal heating). This topic has been addressed with pseudoplastic models of Earth’s lithospheric rheology, but not with more complex models considering grainsize evolution. Here Professor Foley shows that a hotter, internally heating dominated Earth is not a significant impediment to plate boundary formation, subduction, and surface plate mobility; this result contrasts with those from pseudoplastic models due to fundamental physical differences in the two mechanisms for plate boundary formation. A hotter Earth does lead to more episodic subduction, over a range of timescales, and a more sluggish subduction relative to flow in the mantle interior. Professor Foley will also discuss how sluggish, drip-like subduction in the Archean can potentially explain observations of crust forming processes during this time. Brad Foley is currently an assistant professor in the Penn State University Department of Geosciences. Brad received his bachelor’s degree in Geology from the University of Southern California in 2008, and his Ph. D. in Geology and Geophysics from Yale University in 2014. He was a postdoctoral associate at the Carnegie Institution for Science’s Department of Terrestrial Magnetism in Washington DC from 2014-2016, before moving to Penn State. 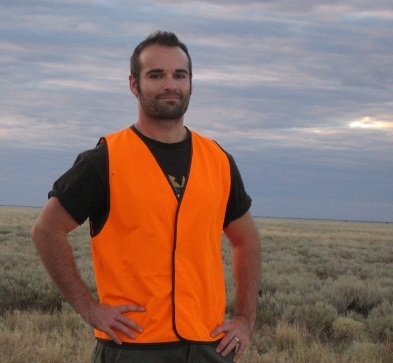 Brad’s research interests are in the dynamics and evolution of planetary mantles. He is particularly interested in the dynamical origin of plate tectonics on Earth, and how the regime of surface tectonics has evolved over time. His work also focuses on the likelihood of plate tectonics on rocky exoplanets, and the role tectonics plays in sustaining climate conditions suitable for the development of life. Resolving the modes of mantle convection through the Earth history, i.e., when plate tectonics started and what kind of mantle dynamics reigned before, is essential to the understanding of the evolution of the whole Earth system, because plate tectonics influences almost all aspects of modern geological processes. At the same time, it is a very challenging problem because plate tectonics continuously rejuvenates Earth’s surface on a time scale of about a hundred million years, destroying evidence for its past operation. This nature of plate tectonics forces us to look for indirect evidence preserved in the buoyant continental crust, which can survive over billions of years. In this contribution, Professor Korenaga will review a range of crustal growth models to gain some insights into the modes of mantle convection. Growth models proposed so far can be categorized into three types: crust-based, mantle-based, and the others, and the first two types are particularly important as their difference reflects the extent of crustal recycling, which can be related to subduction. By combining such inference from growth models with other geophysical, geochemical, and geological constraints, Professor Korenaga will discuss a promising working hypothesis for the evolution of mantle dynamics and its influence on surface environment. Cratons - the oldest stabilised parts of Earth’s continents - have multi-stage history and are characterised by thick and heterogeneous (on the scale of tens to hundreds km) mantle roots with variable degree of depletion and metasomatic reworking. Several distinct proto-cratonic units of hundreds km size differing in crustal and mantle structure could be often found within large cratons. Geodynamic mechanisms of cratons formation remain debatable and combine both plate-tectonics-related and plume-related processes. Based on recent numerical experiments, this research will propose a new concept of Archean cratonisation intrinsically related to the operation of plume-lid (squishi-lid) tectonics by which proto-continental and proto-oceanic lithospheric domains spontaneously formed before the onset of global plate tectonics. In contrast to present day, hot felsic proto-continental domains had thinner, more deformable and less depleted mantle lithosphere compared to their cold mafic proto-oceanic counterparts formed by ultraslow spreading atop hot mantle upwellings. Numerical models show feasibility of short-lived deep subduction of the depleted proto-oceanic lithosphere to core-mantle boundary driven by eclogitisation of the thick mafic crust. Subsequent heating and buoyancy-driven separation of the eclogite and harzburgite triggered formation of strongly depleted harzburgite plumes. Rising and accretion of these chemically buoyant refractory plumes to the bottom of proto-continental domains created relatively small (hundreds km) proto-cratons. After the onset of global plate tectonics by plume-induced subduction initiation, assembling of smaller proto-cratonic terrains formed actual large cratons. Life relies on a critical and not insubstantial set of elements, nearly all of which are contained within large rock reservoirs that are cycled between Earth’s surface environments and the mantle via subduction zone plate tectonics. Biology relies on tectonic processes to supply nutrients to marine and terrestrial ecosystems via uplift and erosion. Over geologic timescales, plate tectonics play a critical role in recycling subducted bioactive elements lost to the mantle back to the ocean-biosphere system, via outgassing and volcanism. Thus the development of modern-style plate tectonics and the generation of stable continents were key events in the evolution of the biosphere on Earth, and similar tectonic processes could be crucial for the development of habitability on exoplanets. Despite this vital “biogeodynamic” connection, directly testing hypotheses about feedbacks between the deep Earth and the biosphere remains challenging. Dr Zerkle will discuss recent efforts to bridge the biosphere-geosphere gap, focusing specifically on the global cycling and bioavailability of major nutrients (nitrogen and phosphorus) over geologic timescales. Dr Aubrey Zerkle is a Reader in the School of Earth & Environmental Sciences at the University of St Andrews, and a PI of the inter-disciplinary Peter James Clarke Centre for Philosophical Geobiology. Her research focuses on understanding the co-evolution of life with Earth and other planetary environments over geologic timescales. She utilizes a multi-disciplinary approach, including stable isotope geochemistry, microbiology, nutrient and trace metal analyses, to examine these interactions and possible feedbacks in modern and paleo-environments. The history of life on Earth is in many ways a cause-and-effect relationship with evolving oxygen (O2) in the oceans and atmosphere. A shift in the balance between biological O2 production and mantle-derived reduced sinks may have triggered the initial rise of oxygen during the Great Oxidation Event (GOE) roughly 2.4 billion years ago. Those sinks were linked to first-order tectonic controls and the coupling between deep- and shallow-Earth processes. After an extended period of relatively high O2 in the immediate wake of the GOE, a return to low biospheric O2 dominated the mid-Proterozoic (1.8 to 0.8 Ga). Remarkable biological and biogeochemical stasis also characterized that billion-year window — perhaps resulting from the oxygen challenges and associated nutrient limitation. However, this stable record was not without exceptions, including major milestones in evolutionary history, such as the earliest emergence of eukaryotic life and multicellularity. Further, a growing body of diverse geochemical proxy data points to mid-Proterozoic environmental conditions that were more dynamic than previously assumed. The connections among mid-Proterozoic biological innovation, environmental change, and tectonic controls remain themes ripe for future study. Hot topics include the formation and breakup of Nuna and how those events might have linked to episodes of elevated mid-Proterozoic oxygenation and eukaryotic diversification against otherwise low baselines. Equally important are diverse data types that point to unprecedented evolutionary steps among eukaryotes around 800 million years ago in phase with a coeval increase in surface oxygenation. Particularly intriguing in this regard are putative relationships to the breakup of Rodinia and associated large igneous provinces. The latest Neoproterozoic is similarly marked by suggestions of rising and falling O2 — dynamic behavior perhaps coupled mechanistically to major climatic events and steps in the evolution (and perhaps extinction) of the earliest animals. Moving forward, rich biogeochemical, chronological, and paleontological datasets spanning the Proterozoic are poised to intersect with next-generation models for their potential tectonic drivers. Tim Lyons currently leads the ‘Alternative Earths’ team of the NASA Astrobiology Institute and the Astrobiology Center at UC Riverside. He is a fellow of the Geological Society of America, the American Association for the Advancement of Science, the Geochemical Society, and the European Association of Geochemistry. He was the 2016 Ingerson Lecturer of the Geochemical Society and has received numerous visiting professorships, including a Hanse Fellowship, Max Planck Institute for Marine Microbiology; the Agassiz Lecture, Harvard University; Leverhulme Trust Fellowships, Universities of Cambridge and St. Andrews; the Chinese Academy of Sciences; the Comet Fellowship, University of Tasmania; the Kelly Fellowship, Rhodes University; and the Institut de Physique du Globe de Paris. He currently serves on the NASA Planetary Science Advisory Committee.Tim’s primary research interests are astrobiology, geobiology, biogeochemical cycles through time, ancient climate, Earth history, and the search for life beyond our solar system.